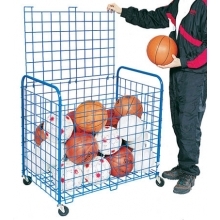 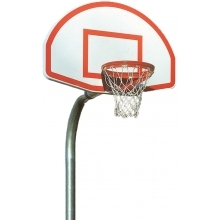 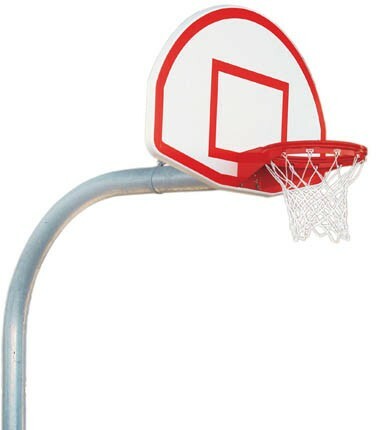 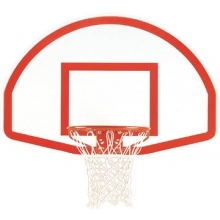 This super heavy-duty gooseneck basketball hoop from Bison provides long lasting performance in any school or playground setting. 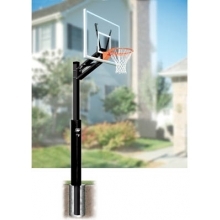 The system is supported by a 5-9/16" galvanized steel gooseneck pole that provides a 6'' safe play area. 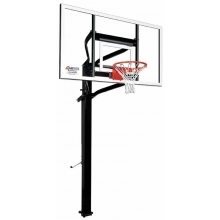 The direct goal mount design improves backboard durability by taking the stress off the backboard and putting it on the upright. 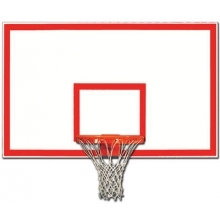 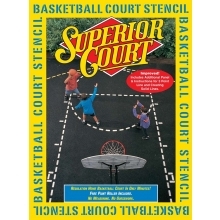 The fan-shaped aluminum backboard has a white powder coated finish and will not rust in any setting. 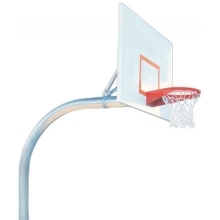 The hoop comes complete with Bison's Ultimate playground goal. 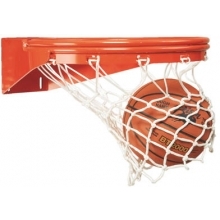 This double, solid rim design is super-durable and has an industry-best, unconditional lifetime replacement warranty.